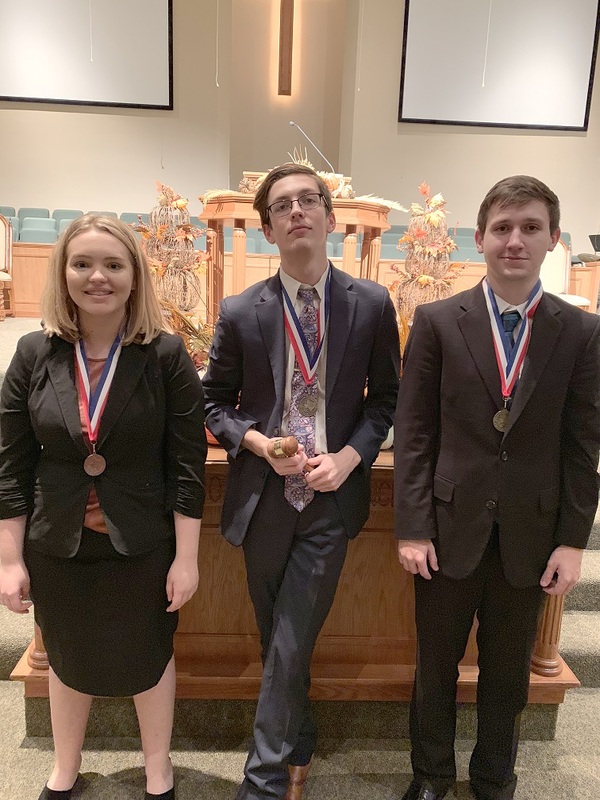 North Lamar’s Isabella LoCicero, Zach Huffman and Garrett Holzwarth have qualified for the UIL State Speech and Debate in Student Congress after placing third, second and first respectively. On Thursday, November 9, North Lamar High School students debated for seven hours for the chance to represent Region 8 at UIL State in Student Congress. Students in Class 4A and 5A competed for three spots at the state tournament, which will be held in January at the Texas State Capitol. 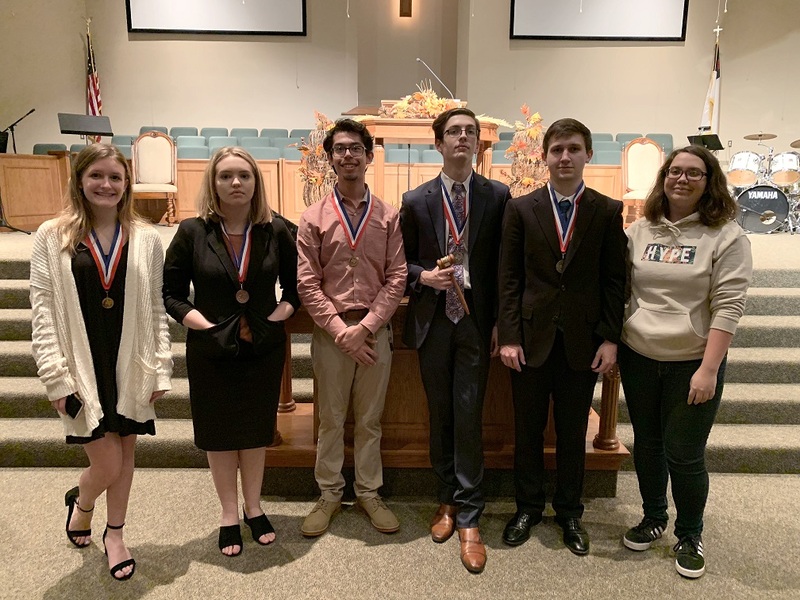 Holzwarth placed first, Zach Huffman placed second and is the top presiding officer, Isabella LoCicero placed third, Mackenzie Walker placed fourth, and Carlos Candias placed fifth. North Lamar High School Speech and Debate took the top five places at the UIL State meet in Student Congress. Wearing medals are Mackenzie Walker, fourth place, Isabella LoCicero, third place, Carlos Candias, fifth place, Zach Huffman, second place, Garrett Holzwarth, first place, and alternate Jordan White. This is Huffman’s seventh trip to UIL state competitions. He is a two-time state silver medalist in Cross-Examination (CX) Debate, a returning state finalist in Student Congress, holds a state silver medal in Informative Speaking, and is the defending state champion in Informative Speaking. This will be the first state appearance for Holzwarth and LoCicero. Coach for North Lamar’s Speech and Debate is Kristi Hodgkiss.